Being charged with retail fraud, otherwise known as shoplifting, does not make you a bad person. In fact, it’s one of the most common criminal charges seen in Michigan courts, and it’s often an isolated incident resulting from a momentary lapse in judgment. However, it is a serious charge. Retail fraud can occur when merchandise from a store is stolen, an attempt to steal merchandise occurs, the price of the merchandise is changed or misrepresented, or the merchandise is fraudulently exchanged for money or other property. 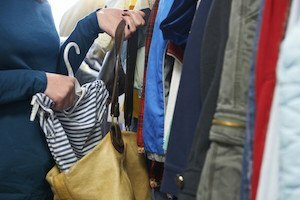 Don’t let a shoplifting incident affect the rest of your life—it’s important to contact a retail fraud attorney as soon as possible. Retail fraud is broken down into three categories, or degrees, with first-degree retail fraud being the most serious. If the value of the stolen merchandise is $1,000 or more, you could face up to 5 years in prison and a fine of up to $10,000 or up to 3 times the value of the merchandise, whichever is greater. This offense is also charged if you have a prior theft conviction, and the value of the stolen merchandise for the current retail fraud offense is $200 or more. The maximum penalty can increase if you are charged as a habitual offender due to one or more prior felony convictions. If the value of the merchandise is at least $200, but under $1,000, you could face up to 1 year in jail and a fine of up to $2,000 or 3 times the value of the merchandise, whichever is greater. If you already have a prior conviction for retail fraud at the time of a newly charged retail fraud offense, the prosecution can charge Second Degree Retail Fraud even when the value of the merchandise is under $200. If the value of the merchandise is under $200, you could face up to 93 days in jail and a fine of up to $500 or 3 times the value of the merchandise, whichever is greater. Organized retail fraud is a relatively new law defined as shoplifting with the intent of reselling the stolen goods, and is punishable by imprisonment for up to five years and a fine of $5,000. Choose an Attorney Who Specializes in Retail Fraud. Major retail stores have developed policies and procedures with respect to retail fraud with the goal of reducing losses due to theft, avoiding litigation, reducing insurance expenses, and deterring theft. In defending an individual accused of retail fraud, it’s important to understand the procedures used by major retail stores in their investigations. Mistakes in judgment sometimes occur - leading to false arrests. Sometimes the situation is misinterpreted by loss prevention and police officers due to cultural issues. Procedural errors can sometimes also lead to acquittal or dismissal of the case. At a pretrial hearing the person accused can either request a trial date or try to reach a resolution of the case short of trial. A lawyer can sometimes negotiate a favorable plea bargain or sentence bargain to resolve the case. Again, it is important to hire an experienced criminal lawyer immediately upon investigation or arrest for any criminal offense. Having an experienced criminal lawyer, such as the lawyers at Hilf & Hilf, PLC, often results in receiving the best possible result, which often can include not having a conviction appear on a public record. Contact us today for a free consultation to learn more about how we can help you fight your shoplifting or retail fraud charge. Probation for Shoplifting A common question when someone is arrested for retail fraud is: "Will I be placed on probation?". Another common question is: "Can I avoid Jail? ".